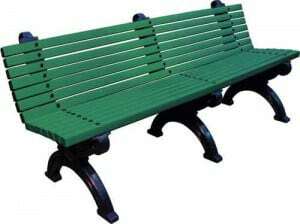 All our Playground Seating is made from high quality, recycled plastic. The majority of our Playground Seating is made from Post Consumer Waste (PCW), which is mainly old plastic bottles. This High Density Polyethylene (HDPE) is cleaned and ground before processing into the 'planks'. Furthermore, all our Seating can be recycled at the end of it's life. Finally, all our products are manufactured in the UK. 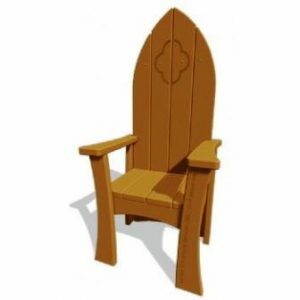 Below are some examples of our Playground Seating, however, there are many more options. So, if you wish to discuss a particular combinations or have any questions, then please do not hesitate to contact us. The All Out Play Commercial Jungle Hut is a more robust version of the Domestic Jungle Hut. 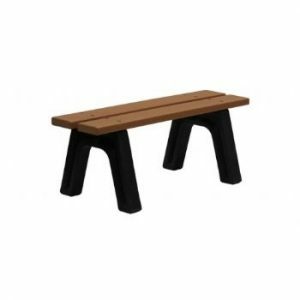 Our Backless Benches are made from recycled materials, including recycled plastic milk cartons and each plank has wood-grain embossing on the top surface for a more natural look. 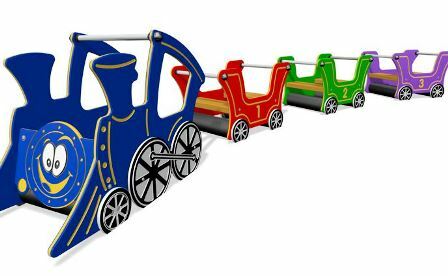 Available in 3 designs, various colours and 2 sizes. 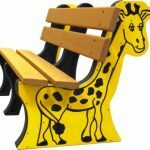 Our Backed Benches are made from recycled materials, including recycled plastic milk cartons and are available in 5 designs, various colours and two sizes. 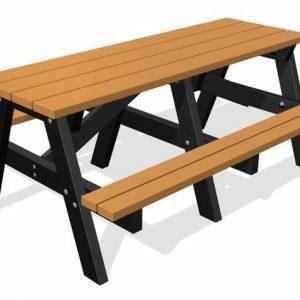 Our A-frame picnic tables are available in various colour options, 2 sizes and have the option of having wheelchair access. 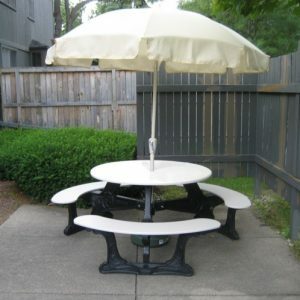 Manufactured using 100% recycled materials it has the advantage of being maintenance free, UV stable, impact resistant, graffiti resistant, easy to assemble and fully recyclable. 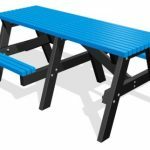 Our Picnic Tables are available in two designs, Round Clarendon which seats up to 9 children is available in many colours and is fully recyclable. Our Storyteller Chair is manufactured using 100% recycled materials it has the advantage of being maintenance free, UV stable, impact resistant, graffiti resistant and fully recyclable. The All Out Play Commercial Jumbo Jungle Hut is a more robust version of the Domestic model.